The bur-reed and the reed-mace (drawn on the other side of this sheet) are found growing at the edges of lakes and rivers throughout Europe. From around 1504 Leonardo worked on a composition of Leda seduced by Jupiter in the form of a swan. 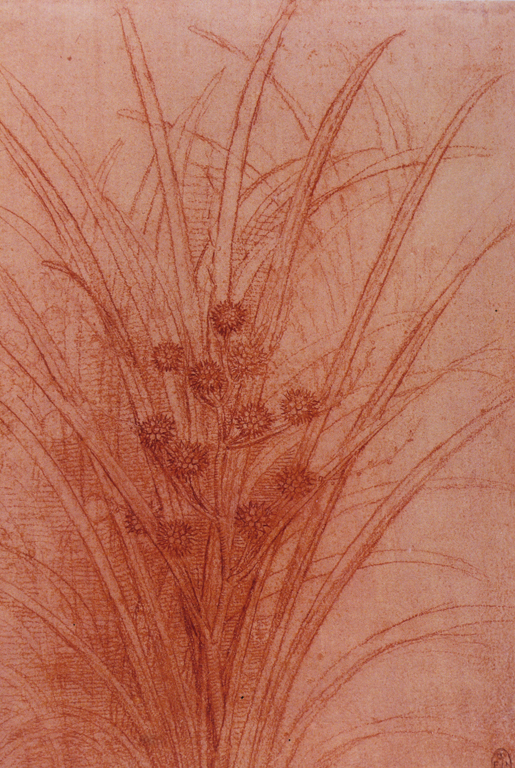 This was to have a foreground teeming with plants and flowers, for which Leonardo made a number of detailed studies including this one, whose accuracy goes far beyond what could be found in any contemporary herbal. Windsor Castle (Windsor, England, United Kingdom) RL 12430r; Royal Library. Bequeathed to Francesco Melzi; probably acquired by Charles II; in the Royal Collection by 1690. 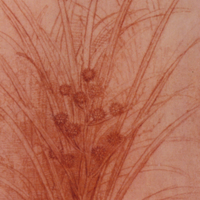 Leonardo da Vinci (Italian artist, 1452-1519), “Branched bur-reed,” Institute Images Online, accessed April 24, 2019, http://westerncivart.com/items/show/2944.